Gilt of Cain was written using terms from Bloombergs Financial Glossary. The poem explores the journey of sugar cane and the story of Cain. The stone was cut by William Wallace of Aberdeen. Gilt of Cain was unveiled by Bishop Desmond Tutu. 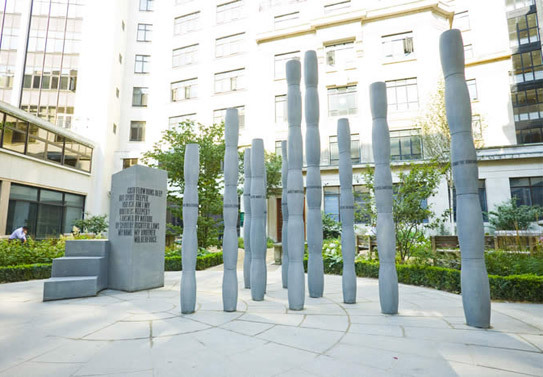 It was a commission by City of London and can be found in Fen Court off of Fenchurch Street in The City.